A very similar, very different, and much older column. 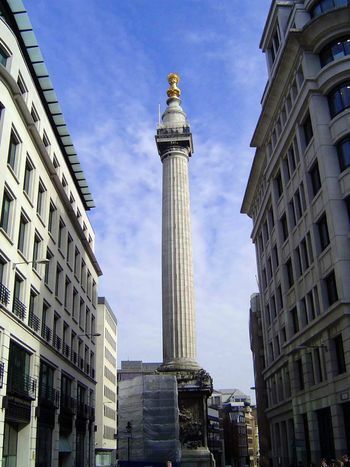 This is the London Monument, a 202-foot tower designed by Christopher Wren and Robert Hooke to commemorate the Great Fire of 1666. Hence the flame-shaped copper urn at the top. A circular staircase leads to a viewing platform now screened to prevent jumpers.